It’s winter, and that means it’s tree planting season in Seattle. The Green Seattle Partnership regularly installs over 100,000 plants each year as part of restoration projects across the city. In 2018, Seattle Parks staff, volunteers and contractors planted a record-breaking 43,000 trees alone! 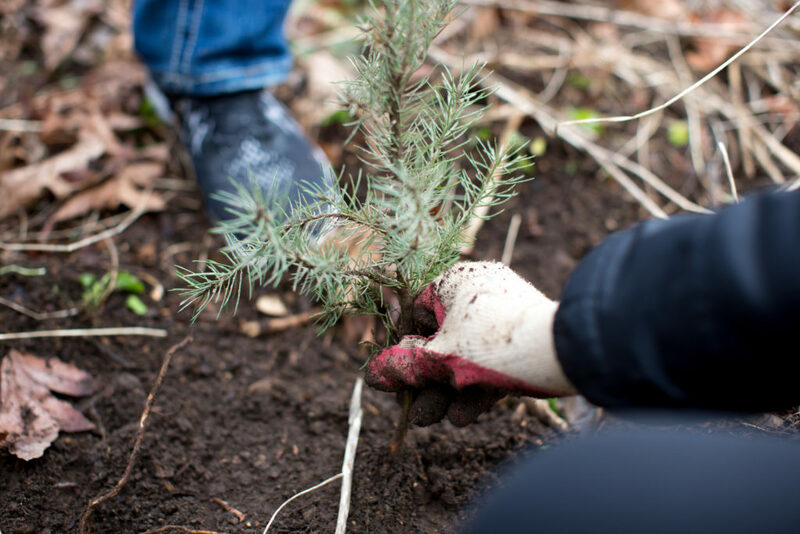 With all that work going into our forested parklands, Seattle Parks and Recreation staff asked us to help answer the question: how well are all of our newly planted trees doing? More specifically, where seedlings are doing well, which factors contribute to their success? Where are seedlings dying and why? And what can we do to enhance survivorship? To help answer these questions, we surveyed 12 professional crew planting projects that took place over the 2017-2018 planting season, covering 43 acres of parkland. In 2018, we had a hot dry summer, which can be extra tough for seedlings whose root systems are not yet developed enough to handle drought conditions. Hot weather and changing climate can also exacerbate pest and pathogen issues. Given the hot summer conditions, the overall survival rate of the planting projects surveyed was surprisingly high at 87%; while the worst sites experienced only 57% survival. This data, however, should be considered more closely: the number of plants counted was lower than what was initially planted, and so if we account for missing seedlings, overall survival dips. A safe adjustment puts us closer to 83% overall survival. The following table shows the parks and Green Seattle zones surveyed, along with the sites’ overall seedling mortality rates. What conditions affected tree survival? We saw the lowest survival rates at the most open sites for both shade-tolerant and sun-loving species, but shade-tolerant species fared worst in the sunniest conditions. In particular, three sites in the West Duwamish Greenspace had low survival rates, ranging from 84% down to 57%. All of these sites had partial-to full-sun conditions. Generally, lots of light is good for seedlings, but in a dry summer, we hypothesize the extra sunshine dried out the soil too much. 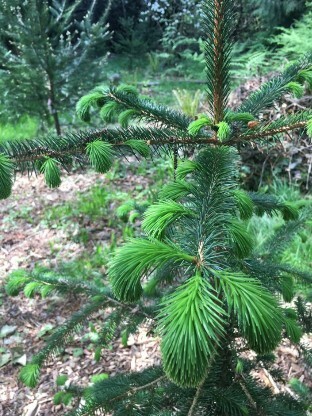 The sun-loving seedlings that did survive (especially Douglas-fir and Sitka spruce) were significantly taller in the canopy openings than their compatriots in shadier areas. High shrub and forb cover was also associated with higher seedling mortality. We think a lot about the canopy shade when planting trees, but the ground vegetation can cast shade over the short seedlings just like tree canopies do. This was especially noticeable in the sites where large-scale restoration projects occurred. In these sites, low shrub cover reduced competition, and many of these seedlings received mulch, which helps retain soil moisture. Our results show survival in the first year following planting; and while that’s usually the year with the greatest mortality, we will learn even more from these survivorship transects after we complete a second year of monitoring. Stay tuned for additional insights into the long-term health and vigor of our future forests. In the meantime, you can read the full results here in the Seedling Survival Report. Plant shade-tolerant species in sites that are likely to retain summer soil moisture. Mulching is a great way to help address soil moisture problems for shade tolerant and sun-loving seedlings alike. Mulch reduces sun exposure on the soil, and helps retain soil moisture. Remember, watering can be a double edge sword: the seedlings will grow better, but then they have a lot of water-demanding foliage to keep alive. Mulch can be a great alternative to watering. Watch out for weeds and shrubs! Either plant in areas with low shrub and groundcover density, or cut back competing plants (even native species) to give the tree seedlings room to grow. 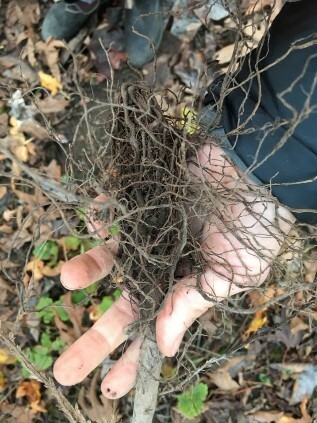 Prioritize planting following invasive removal projects. Don’t hide your sun-loving species because they do best in a lot of sun; make sure to protect their soil moisture. Plan on re-measuring planted sites to help inform long-term seedling success. 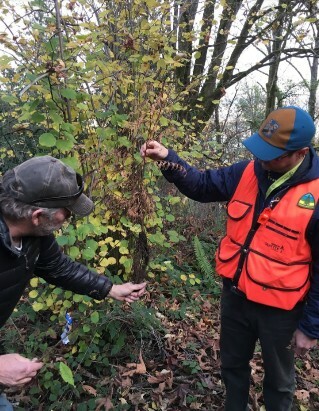 The Green Seattle Partnership strives to use the best available science to identify best practices for forest restoration and make management descisions. Check out more Green Seattle research over on the GSP Research page. 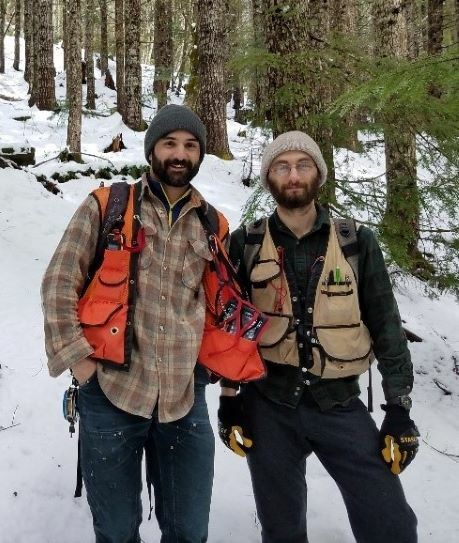 Paul and Ben are foresters at Stewardship Forestry and Science, a forest restoration consulting company based in King County. Paul loves searching for big trees, mountain biking, and backpacking with his dogs and family. Paul has Masters degrees in forest resources and public administration from the University of Washington. Ben comes from a finance background in New York and has a Masters of forest resources from the University of Washington. Ben enjoys exploring the forest, making music, reading, and traveling the world as often as possible.